Dr. Lynn Polonski is a board diplomate of ophthalmology and specializes in comprehensive ophthalmology and oculoplastics. Dr. Polonski started a private practice in Tucson, Catalina Eye Care P.C., in 2009. 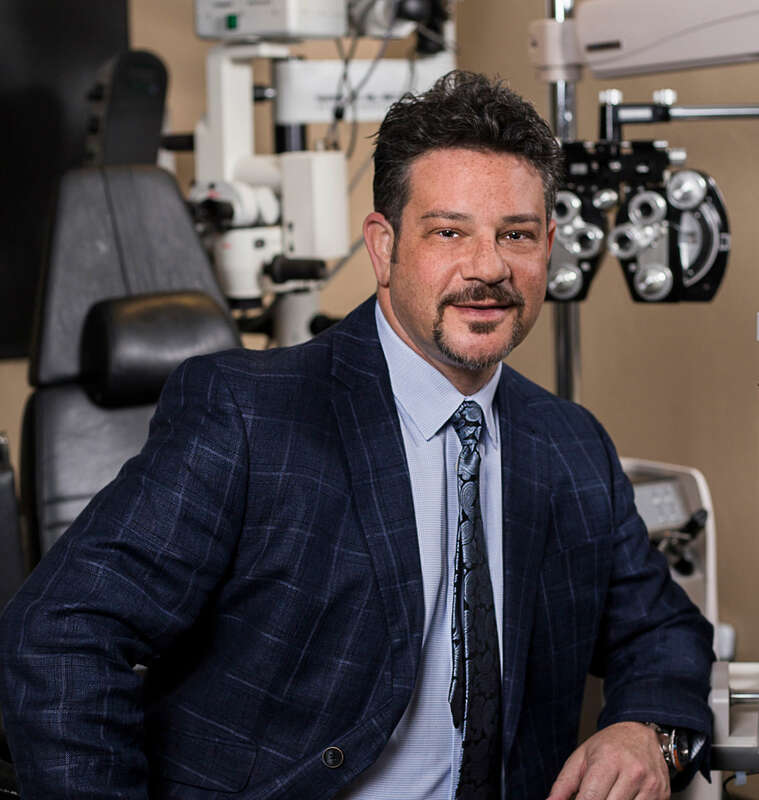 With surgical expertise specializing in the implantation of premium cataract lenses, performing orbital reconstructions as well as cosmetic eyelid surgeries Dr. Polonski is a valued eye surgeon in the Tucson community. After graduating from Albert Einstein College of Medicine in New York, New York he completed residency at Case Western Reserve University in Ophthalmology. He then performed a Preceptorship in oculoplastics and facial plastics at St. John’s Westshore Hospital in Westlake, Ohio. Formally an assistant professor of the University of Arizona Department of Ophthalmology for nine years, Dr. Polonski has been recognized for outstanding teaching both clinically and surgically. He has been awarded the Best Surgical Instructor and Best Teaching Award from the University of Arizona Department of Ophthalmology. Concern for his patients, knowledge, reasoning along with expert surgical techniques have made his practice a trusted place for patients to come for their eye care. By spending the time needed with each patient to understand their needs and expectations he is able to create a treatment plan that specifically fits each patient. Dr. Polonski’ s areas of expertise include: medically necessary eyelid surgeries to correct eyelids turning in or out, surgery for droopy lids, complex eyelid revisions, lacrimal disorders involving the tear ducts, treatment of thyroid eye disease, orbital decompression surgery, skin cancer lid and facial reconstruction surgery, and trauma-induced orbital injuries. Dr. Polonski serves on call 24/7 at Banner UMC Hospital. He has received national coverage of high profile surgeries and is routinely invited to lecture around the community and has received several merits for his accomplishments.